WebBank, is an industrial bank based in Salt Lake City, Utah. 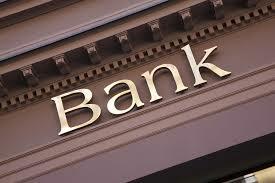 They offer banking services for both consumer and commercial customers. They offer closed end and revolving private label loans and bank card financing programs. And of course, they accept deposits which are federally insured. For consumers, WebBank makes a variety loans and accepts customer deposits. On the commercial side, their Industrial Bank Charter allows them to partner with other financial institutions and offer niche financing solutions for businesses of all sizes. These options help support capital investments and fund ventures. WebBank is a member of the Utah Banking Association and FDIC insured for accounts up to $250,000. They are also a member of the Commercial Finance Association (CFA). Through their Strategic Partnership Group, they offer niche products including peer-to-peer loans and debt consolidation loans. They have a number of subsidiaries including Working Capital Solutions. Through it’s subsidiary, Working Capital Solutions, WebBank provides alternative financing solutions for small and medium sized businesses, looking to improve cash flow. These solutions include invoice factoring and asset based lending. An invoice factoring company, known as the factor, purchases outstanding invoices at a discount to their face value. Doing so provides near-immediate funding, while the invoices remain unpaid by the account debtors. WebBank will advance up to 90%, sometimes more, as quickly as the same day. When the invoice does get paid to WebBank, they will release the remaining reserve amount, less their factoring fee. WCS only provides recourse factoring, meaning that even though the factoring company has purchased the invoices, you still owe the advanced amount to the factor. Your business retains the credit risk of your customer. While this is less than ideal, the factoring fees are lower and that extra savings can allow your business to purchase additional inventory or capitalize on a strategic opportunity. One benefit of using a bank that doubles as your factor is the access to funding which provides a low cost of capital. When this is the case, the factor can often pass the savings along to their customer in the form of low factoring fees. The asset based lending solutions at WCS include loans backed by nearly any asset-inventory, equipment, real estate, accounts receivable, etc. Asset based lines range, including equipment and inventory sublines range from $250,000 to $5 million. The more equipment and inventory your business has, the higher the credit line. When your business “graduates” from these alternative financing methods, it has access to more traditional business banking opportunities to improve net working capital such as a small business line of credit or a commercial loan. We aren’t thrilled that WebBank only factors invoices on a recourse basis. Even though the factoring fees are lower than with non recourse factoring, the peace of mind for a business is a major benefit of non recourse financing. Also, we could not find out much information on their contract lengths. Banks typically have a one to two year contract length and would suspect something similar in this case. WebBank seems to be in a solid financial position. According to Bankrate, the bank is rated ‘Superior Financial Position’, with an equity base of $73.1 million and $387.8 in total assets (as of March 31, 2016).1 Further, the bank had a regulatory capital ratio of 19.71 which “substantially exceeds requirements.”2 One area of concern is their balance sheet liquidity which they reveal is “substantially below normal”. Reviewing what customers were saying about their dealings with WebBank uncovered mostly negative comments. They are rated A+ by the Better Business Bureau and accredited, but they also have several complaints (62) and mostly negative reviews. The details on the complaints are not available, so it’s unclear whether any of this has to do with invoice factoring. Should I be Factoring Receivables with WebBank? Considering they only offer recourse, or discount, factoring, and have a lack of available factoring information, we will remain neutral on WebBank. It is also unclear whether they are even factoring receivables anymore as the BBB shows Working Capital Solutions, Inc. of Illinois as being ‘out of business’. Still, WebBank’s website has made no changes reflecting this and still shows their accounts receivable factoring is done through WCS.